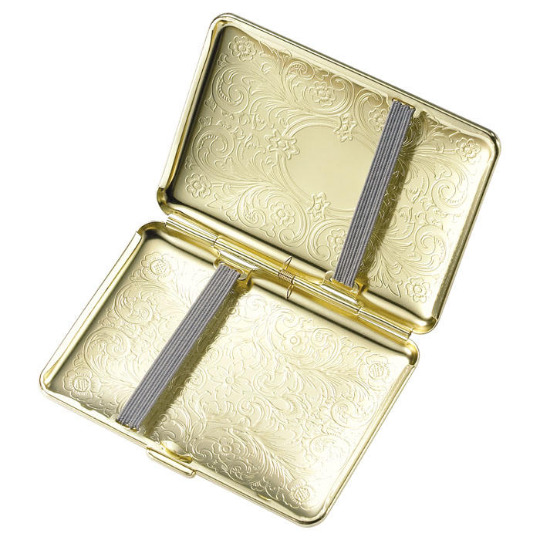 This gold paisley cigarette case has a wonderful floral design with a beautiful gold finish. Ourpersonalized cigarette cases will keep your smokes safe and fresh and ready to be enjoyed at any time. 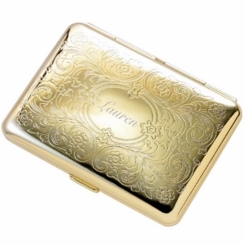 There is an open oval space on the front of the cigarette holder that can be engraved with a name, initials or message to make it a personalized gift for that someone special.